That Eurotrash DJ knows what he's talkin' about, true believers! 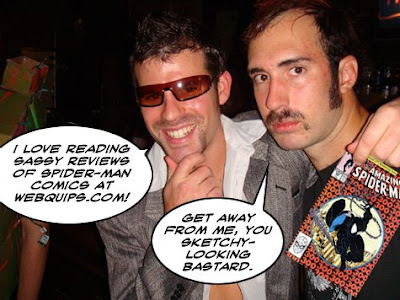 Webquips.com is the newest and greatest way to catch up on all your favorite arachknight adventures! So don't be late to the party! Take Tanner's advice, and swing on over to Webquips.com! What is a Spider Man?